Q: How did you come up with the name Earth Alien Literary Services Consortium? A: We came up with the name during what can only be described as an "A-Ha!" moment. We were looking for a name that took into account both our numerous services, as well as our eclectic grouping. Suddenly, during that "A-Ha!" moment, Earth Alien was born. There is nothing more different than an alien on earth, and we're a different kind of literary service. We are a group of friends from all different walks of life, with many different experiences and specialties. We love to have fun but always keep our work professional. Q: You're a professional literary service, why are your service prices so low? A: We know times are tough all over, and we understand the desire to receive quality work that is also affordable. We offer some of the lowest prices in the business, yet we have the experience to send back to you, a professional and polished piece. We like to think of it this way: If we couldn't afford our services, why would we expect others to? Q: Do you post about your authors on social media? A: Yes! 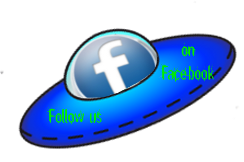 We post our authors books and buy links as soon as we get the go-ahead on Facebook and Twitter. Q: What genre of manuscripts will you accept? A: We will accept many genres. While we have the most experience with fantasy, sci-fi, and contemporary fiction, we also have some on staff with scientific and educational editing experience. We accept both fiction and non-fiction, though we do reserve the right to refuse a manuscript. If we refuse a submission, we will provide critique and our logic for doing so, as well as criteria specific to that manuscript describing what alterations would make it immediately permissible for our editors to accept. You can contact us any time by using the email provided in the footer if you have questions about whether your manuscript would be accepted. Q: How quickly will my manuscript be returned? A: Turnaround of your project will depend on which service or services you have chosen. See specific service tabs for more information under each individual service offered.